1) do you notice a significant difference between the SSV and tempco brand? in terms of flavor, temp stability, and durability? 2) do you find contact coils perform better, worse, or the same for Ti TC? 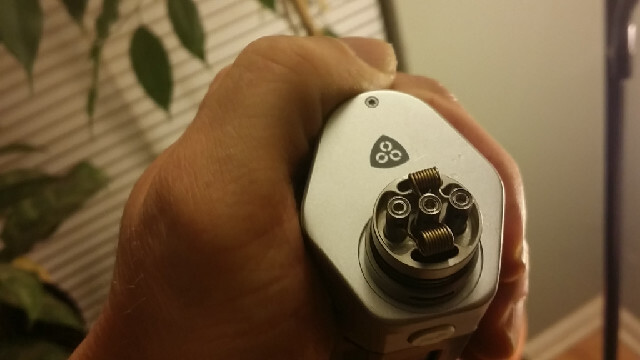 i find slightly spacing all of my coils, even kanthal, seem to last longer. in terms flavor being muted due to contact coils. my theory is the tiny spaces in spaced coils don't allow the crud to build up around the coil and choke off, or choke in, the vapor as the coils racks up mileage. It's titanium, so it will be as safe as any other titanium. 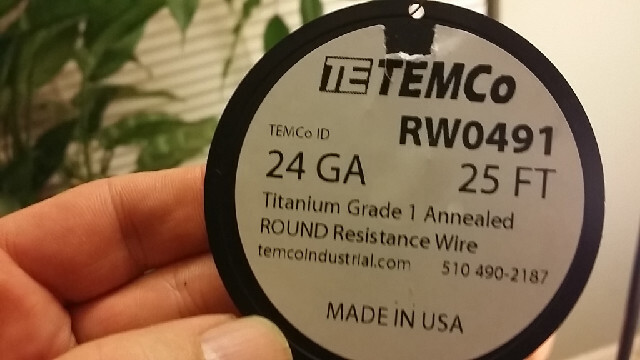 TEMCo is reputable and sells high-quality (usually made in the USA) wire. Their Kanthal, for instance, is made by Sandvik themselves. You can e-mail them and ask. They usually respond to e-mails very quickly. Chunky, the temco provides the same flavor, at least to me, as the SSV wire. Temp sensing appears to be working fairly well with the slight increase in temp limit, 480 vs 450 for SSV. I haven't had time with the wire and escribe long enough to work out more favorable settings for performance. After I have more time to work with it, I can have a more detailed description. I enjoy the spaced coils more so far. The flavor, vapor, and temp performance seems better, however, I need to work with the contact coils more before I can say definitively. 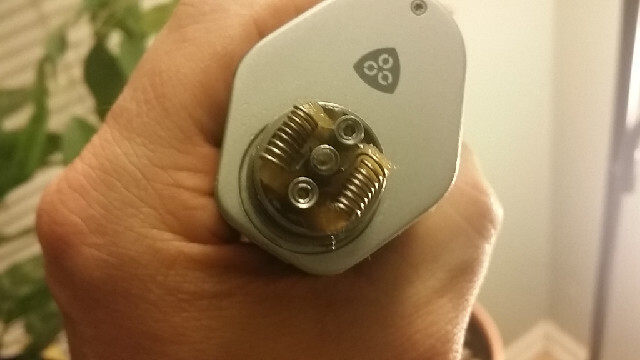 I will say the spaced coils are way easier to build and use quickly. Doing ones homework should be mandatory or at least logical. The SSV wire has been discussed and beaten to death, do a search on the ECF site. It's NOT grade #1 titanium, hence its own special TCR profiles. You pay more and get less, but folks simply ignore the facts. However, the news that Tempco is finally carrying G1 Titanium is great news, even better that's it's ANNEALED (soft)! The Rio Grande titanium (soft) has only been available in 24 gauge, which works great, but now there are more choices in gauge with Tempco. Breath whatever you like, if I'm doing Titanium, then I want GRADE #1, nothing less, especially a hyped grade 2, with whatever else is included. Finding the proper TCR for G1 titanium on SteamEngine is quick and easy. Taking non-annealed ti and annealing it manually so it is not springy. The end result may be uneven, and a hot spot may form when vaping...pop. That's your experience, NOT a fact. Been annealing wire and vaping on it with none of the issues you state, for a long time, as well as many, many others. And to Johan, now with Temco.com offering all grades of Titanium that is already annealed (soft), you should have no concerns. Have not personally had any issues with Ti. Temco looks like good stuff, and comparatively inexpensive. Have been using Ti from Lightning Vapes (bit pricey), and Unkamen (dirty). Their wires are a little springy, but certainly usable. I'll get some Temco wire, been making coaxial (clapton) wire with stainless steel core and Ti wrap, some 30-32g that is annealed would make that easier. I didn't find the Unkaman too dirty at all, barely anything wiped off on a vaportowel after a 99% alcohol scrub, but wire can vary from batch to batch. It's sold for jewelry so I assume folks use an ultrasonic cleaner anyways, been meaning to buy one. Main problem is I had to slow pulse anneal it, as is springy. Then I found Rio Grande, another jewelry site that folks recommended, and their 24 gauge was much softer, problem there is they did not sell it in 26,28 gauge. Now that Temco, a trusted vendor is selling annealed titanium in all the gauges I use, it will be a one stop shop. Should get my first batch from them this week, used them before for all my old Kanthal needs. Will be interested to see how you like it. I emailed with the owner of Unkamen and he said his product will be shiny bright and clean as of his next wholesale order, so perhaps you got the new stuff. On the Unkaman site they explain that the titanium is "acid washed", that's why the wire is dull, not shiny. Then these jewelry folks tumble their creations SHINY! Does not make a performance difference to us, but some were confused when it was not shiny like some other Ti wire. I don't know how the Temco Ti wire is going to look, they deliver slow for some reason.